It was a typical “June Gloom” morning here in Southern California yesterday, and I decided to bake some muffins for breakfast to help brighten my day. 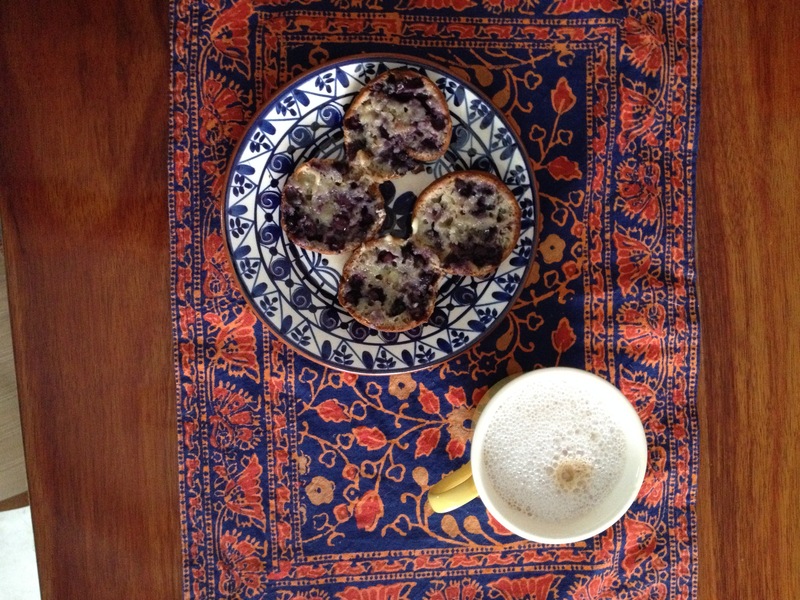 I served the muffins on a small plate I recently purchased when I was in Portugal, and I used a placemat that I brought back from Singapore. I love using items from my travels at home – it reminds me of my trip to a different part of the world, the people I met, the food I ate, and then shop or market where I purchased the item. The plate I purchased in a gift shop in Fatima, Portugal, outside of the town center. We stopped there before visiting Fatima and the site of the apparitions of three local children in 1917. I love the blue and white colors of this small plate. It is the perfect size for small snacks, a sandwich, or in this case, muffins. The placemats I purchased along with other printed fabrics in the Little India section of Singapore. I do not remember much other than I bought different sets of placemats and napkins for friends and family. This morning, the sun was shining, and I used a bowl from Sorrento, Italy, and a ceramic juice glass from Vietnam for my breakfast. The bowl I found in a ceramic shop run by the artist, on one of the streets in Sorrento. His work had a pale blue color to it, and most of the items had an ocean theme. You can see some of the fish swimming at the top of the bowl. The ceramic juice cup I purchased in Can Tho, Vietnam, at the Victoria Can Tho resort. When our group arrived to check-in, we were greeted with hand towels and fruit juice in these ceramic cups. I have bowls at home in a similar style – a matte brown glaze on the outside, and the inside muted colors. The cups are the perfect size for a small juice, and they are dishwasher safe. When I have juice for breakfast, I fondly remember my time at this lovely colonial hotel. What are your favorite treasures from your travels? 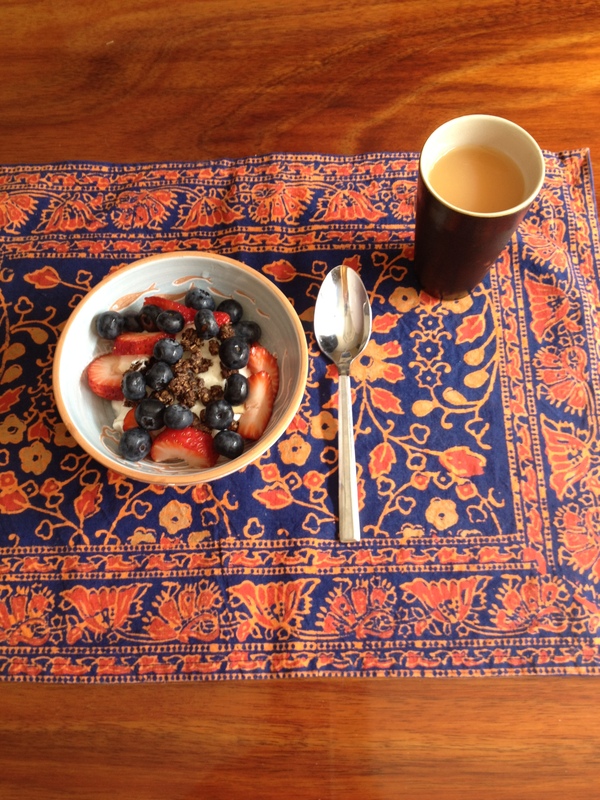 Do you bring back dishware to use at home? Two weeks ago, as everyone on the east coast was suffering from record low temperatures, snow and ice, the theme for #FriFotos was WARM. It was fun to look through my photos and see which ones depicted a warm-feel. 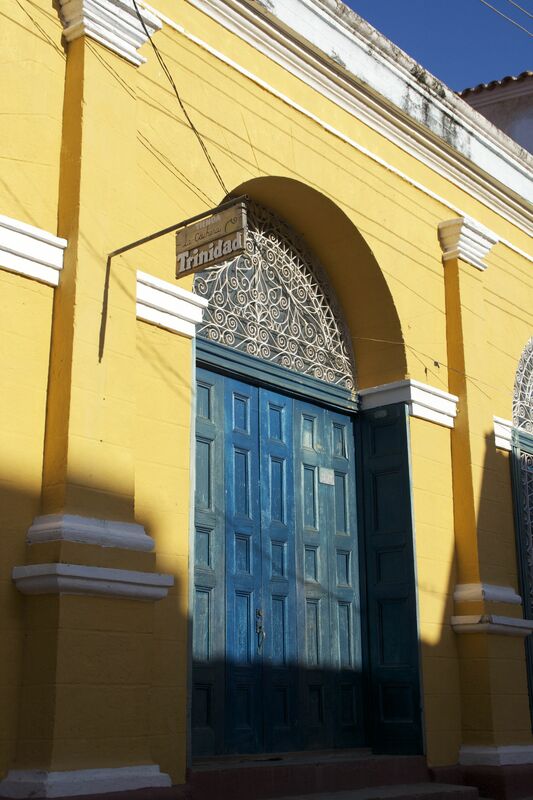 The first photo above is from Trinidad, Cuba. 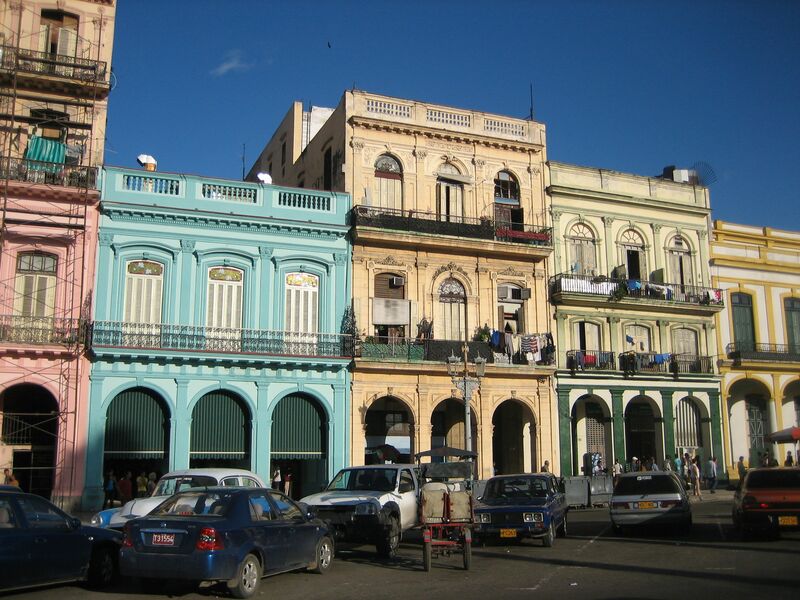 This colonial town is bathed in beautiful light early in the morning, which is when two of the travelers in our group and I took a taxi into town ahead of our guided tour so we could wander the streets and take photos. The lighting was just right, and the colors of the town popped everywhere we turned. When I visited Rome in May of 2013, it was a bit cooler than I expected. I ended up wearing several of my t-shirts at once to keep warm. But the warmth of the sun on this bright day, showcased the beauty of the city. 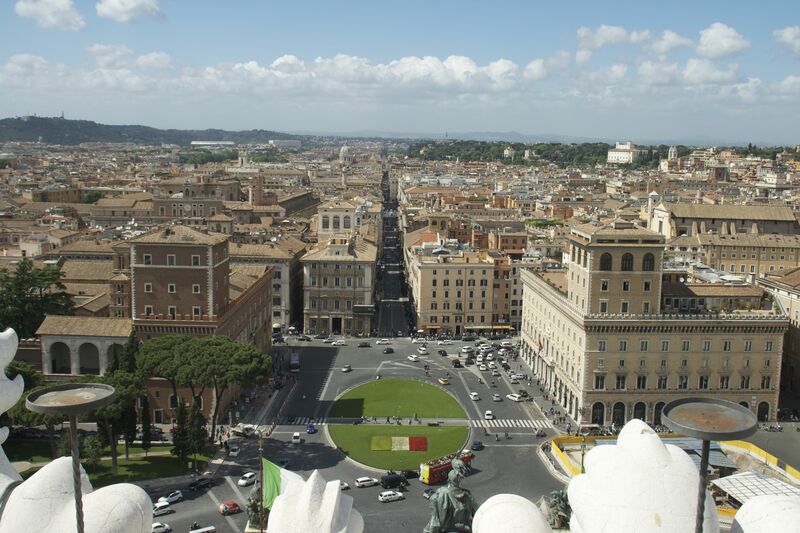 We were at the top of the Vittorio Emanuele II monument when I took this photo. One of my favorite places in the world is the island of Kauai in the state of Hawaii. We always stay on the North Shore, where there is beautiful scenery and lush vegetation. 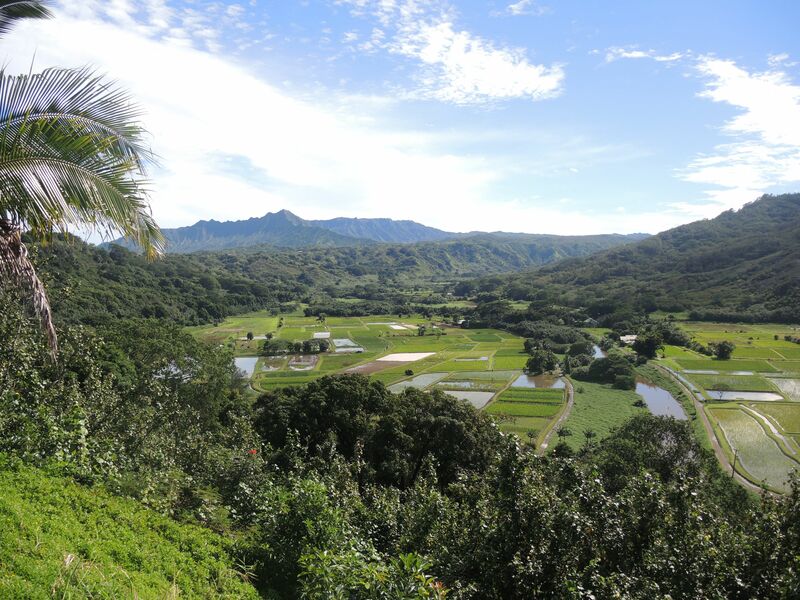 This photo is of the Hanalei Valley lookout – there are always cars here stopped to take photos of this scene overlooking the taro fields. The Hanalei Valley on Kauai’s North Shore. We were in Buenos Aires in May of 2014, and as it is the start of winter in the part of the world, the weather was cool. 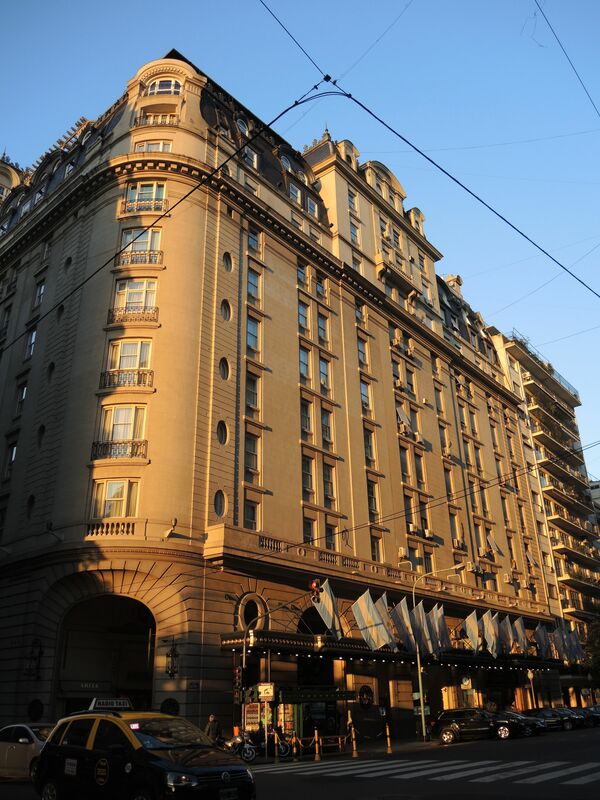 But the lighting at the end of the day warmed up the luxurious Hotel Alvear. Hotel Alvear in Buenos Aires, Argentina. In December, I flew to Honolulu to meet up with my friend Rosemary who had traveled to Hawaii for the very first time in order to attend the opening ceremony of, “The Eddie.” This annual invitational big-wave surf competition was celebrating it’s 30th year, although the event has only been held nine times. Waves need to reach a certain height for a sustained period in Waimea Bay on Oahu’s North Shore in order for the competition to run. At the beginning of the holding period each year (usually from early December through late February when the North Shore waves are the biggest), there is an opening ceremony with the Aikau Ohana and the invited surfers and alternates for the competition. After the opening ceremony, the surfers paddle out to the ocean for a ceremony. You can see more photos from the opening ceremony, which was on December 4, 2014, here. 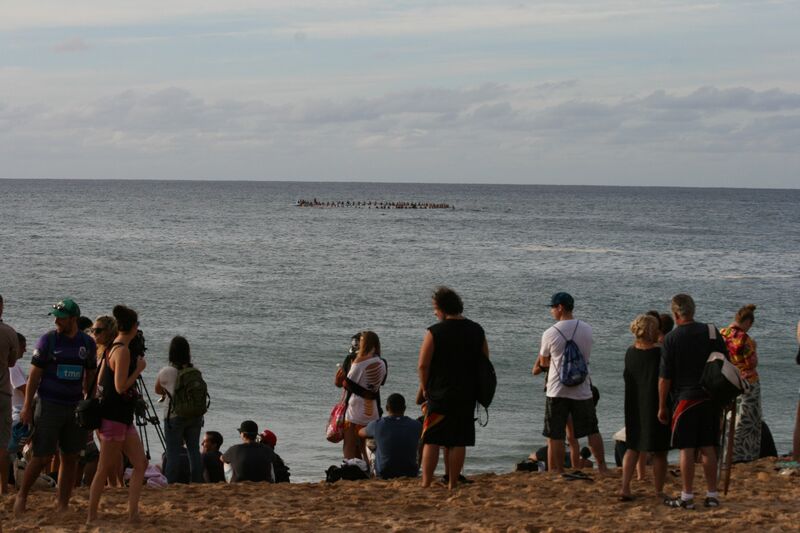 Paddle-out for the opening ceremony of The Eddie in Waimea Bay, Oahu. 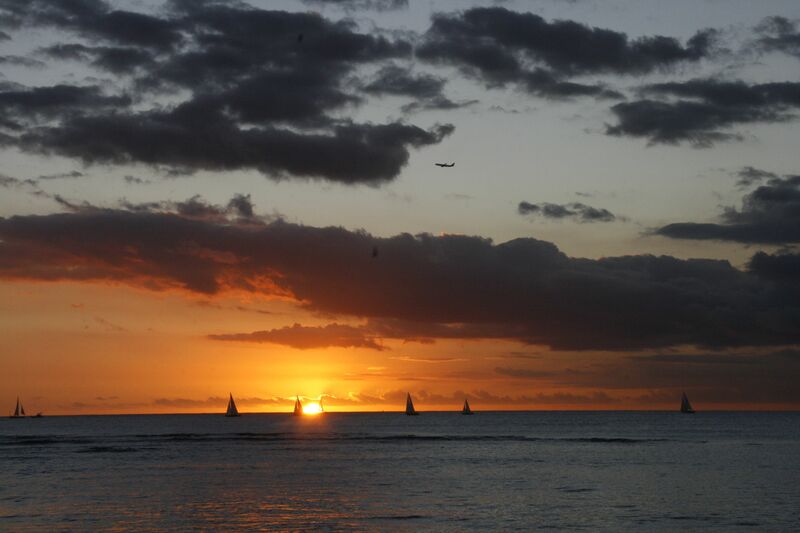 The sunsets in Hawaii are always spectacular, and on my last night there in December, the sunset in Waikiki did not disappoint. It was a warm aloha before my flight home that night. Here’s a quick guide of the rules by Jeffrey Epstein. The theme for #FriFotos a few weeks ago was cars. It was hard choosing which pictures to share from the myriad car shows and races I have attended, in addition to the photos of cars spotted while traveling around the world. Every August, we head to the Monterey peninsula in northern California for a weekend full of car shows, auctions, viewing and races. We attend the annual Concorso Italiano celebration of Italian-made cars, watch the Rolex Monterey Motorsports Reunion at Mazda Raceway Laguna Seca, marvel at the cars up for auction at the many car auctions taking place throughout the weekend, and walk the greens at Pebble Beach for the highlight of the weekend, the Pebble Beach Concours d’Elegance. No matter where you are that weekend, you’ll see exotic cars, vintage cars, and expensive cars driving the local roads or parked in Pebble Beach, Carmel, Monterey and all the neighboring towns. 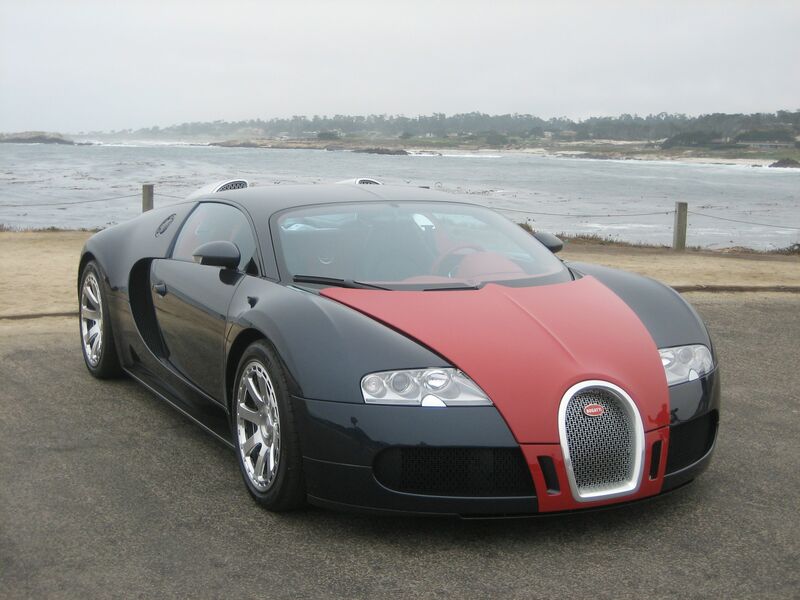 Here’s one car that we happened to pass by while taking a bike ride on 17-Mile Drive in Pebble Beach – the Bugatti Veyron. It seemed to be a professional shoot for this Hermes edition of the car, but as you can see, everyone stopped to take some photos of their own. The Bugatti Veyron was posed for a professional photo shoot. Beautiful interior of the Bugatti Veyron Hermes edition. The paparazzi were out in full force to photograph the Bugatti Veyron. For more views from the professional shoot, click here. A few years ago, we traveled to France in June in order to watch the 24 Hours of Le Mans (24 Heures du Mans), the most-famous and most-respected endurance car race in the world. A few days before the race, there is a driver’s parade through the streets of Le Mans. The drivers for each race car (three drivers share driving duties during the 24 hours of the race) sit on the back of an open-air vehicle to parade through the town for the gathered crowd of car racing fans. We were lucky to see Audi Team Joest drivers Tom Kristensen (aka “Mr. Le Mans”), Rinaldo Capello and Allan McNish in the driver’s parade. During the race, I managed to capture one picture of McNish driving – the cars are so fast, it’s hard to capture them without blurring the photo! Audi drivers Tom Kristensen, Rinaldo Capello and Allan McNish in the driver’s parade for Le Mans, 2010. 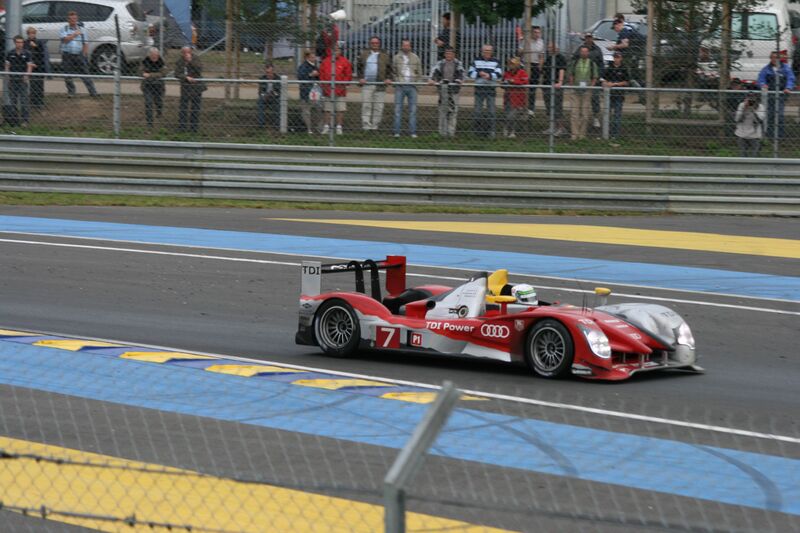 Allan McNish driving the Audie Team Joest car at Le Mans, 2010. In 2007, we traveled to Italy for a group trip to Lake Como. Luckily, the weekend before the trip began was the Formula 1 Grand Prix of Italy at Monza. I think this Mercedes-Benz SLS AMG is beautiful, and during the race, it is the slowest car on the track as it serves as the official safety car. 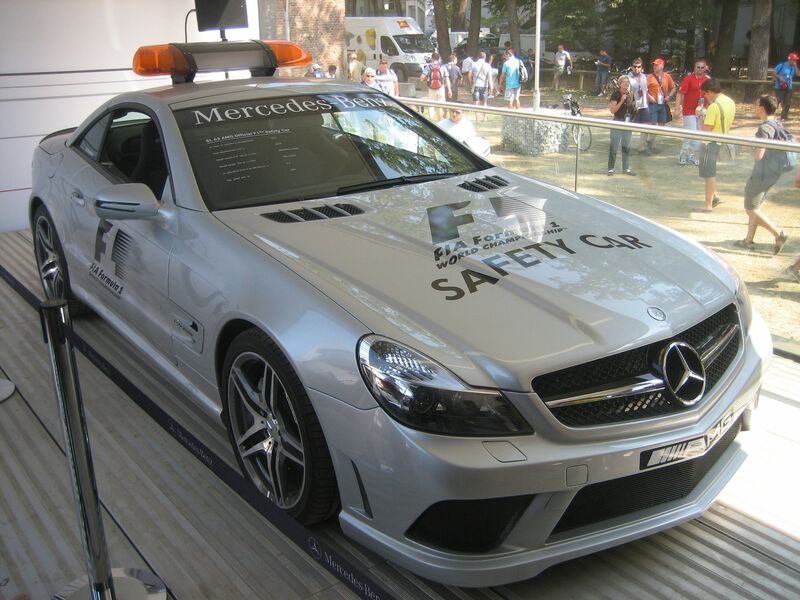 F1 Safety Car at Monza. As you might imagine, the Italian GP is the home race for Ferrari, and Ferrari fans, the tifosi, are always in attendance. When I traveled to Cuba in 2011, it was fascinating to see the many 1950’s era cars driving around on the roads. It made it seem like I was in a time warp to another era. The lavender shade of this car was perfect for the hot sunny days. 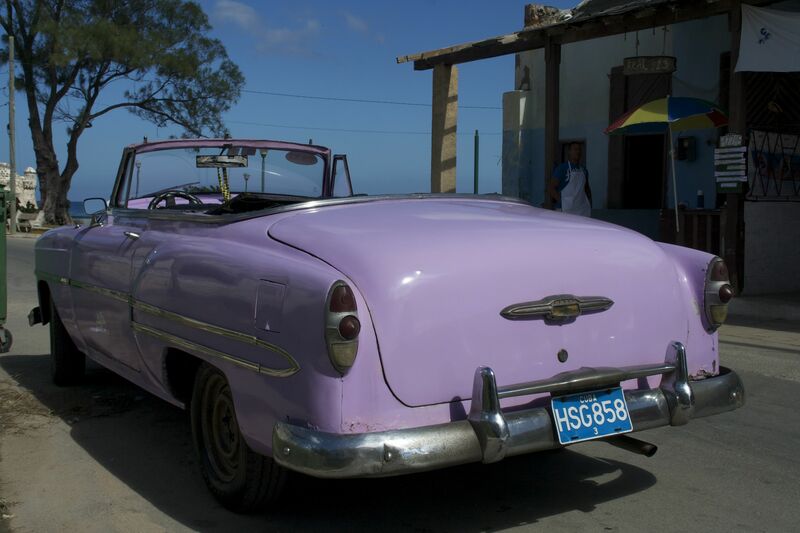 Cars in Havanna – not all of them were old. Last week’s #FriFotos theme was adrenaline (July 25, 2014). At first, I thought, I don’t have anything to share because I don’t sky dive, mountain climb or ski (or ski that often). Then my memory turned to one of my favorite trips, to South Africa, and to a safari I took during that trip. Riding in the bush looking for animals was at times monotonous, but then we’d see a beautiful bird or a delicate spider web and be in awe. All of that riding around paid off though, when we encountered large animals. 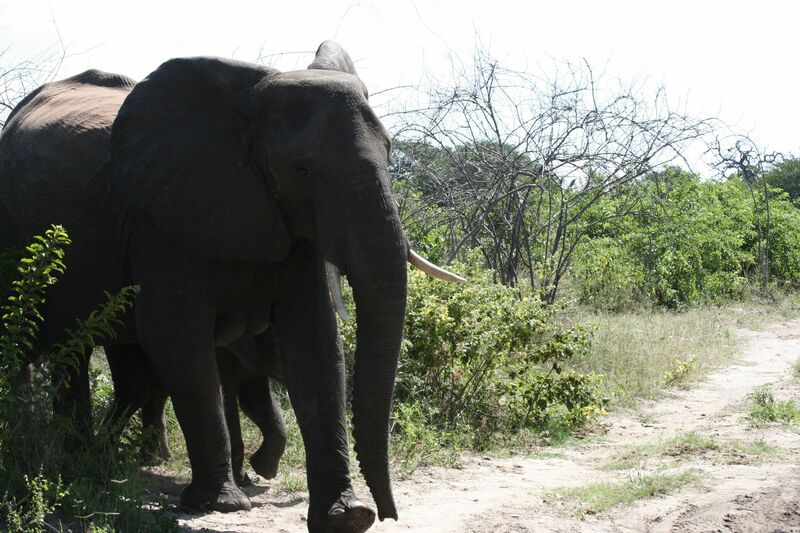 We briefly crossed into Botswana while we were stationed at the Royal Livingstone Hotel in Zambia, and took a boat ride down the Chobe River and loaded into safari vehicles to see elephants in Chobe National Park. We saw lots of elephants milling about, many bathing themselves in water. Our group got a real adrenaline rush when we were watching a baby elephant. The momma noticed us, and thought we were a bit too close for comfort. As she approached our vehicle in a not so friendly manner, it was scary. Momma elephant guarding her baby from our vehicle in Chobe National Park, Botswana. Later during our trip, we stayed at Shishangeni Lodge just outside of Kruger National Park in South Africa. 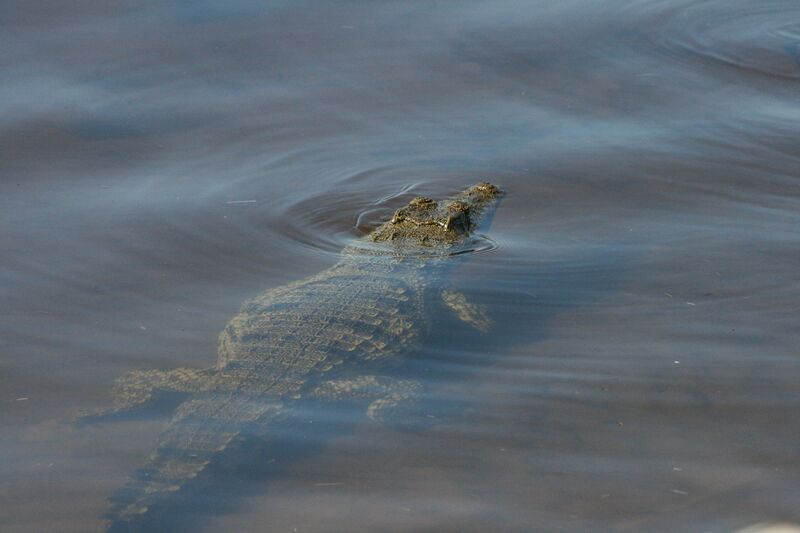 Although this crocodile was heading away from us, it was still pretty scary to be that close. Crocodile – even when they’re heading the other way, you get a bit of adrenaline! 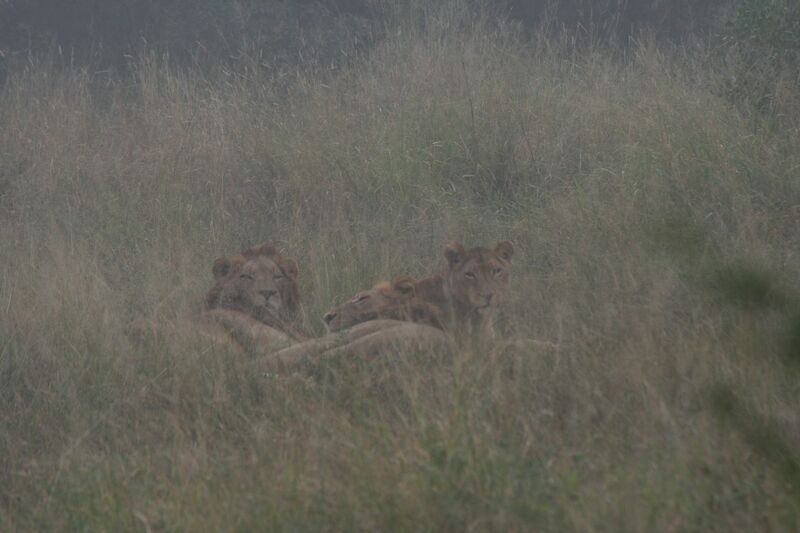 On one of our first drives during our stay, we were lucky enough to encounter some lions. They were just waking as it was early morning, but seeing them watch us was still nerve-wracking! Lions waking up but watching us as we stopped to watch them. After our morning safari drives, we returned to the lodge for breakfast and leisure time. There were safari guides that offered to take us on bush walks. They seemed to think it was a perfectly normal thing to do, so I decided to go along. 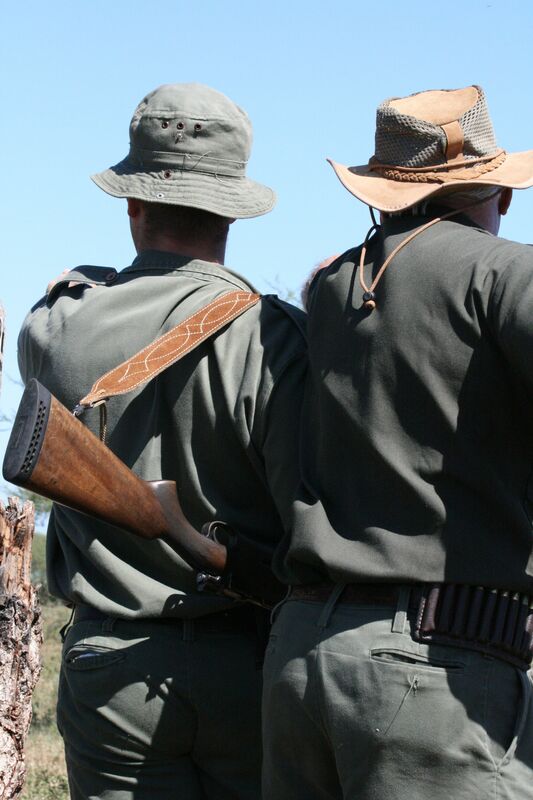 But, when you have guides with rifles and large bullets, you quickly realize walking alone in the bush can be dangerous. Here our bush walk guides survey the landscape. At one point, there was a rhino very near us, and they could tell that he could smell our group. It was frightening hearing this very large animal sniffing and breathing so close to us. They quickly gathered our group, and told us if we were being charged to stand behind a tree, because the rhino wouldn’t be able to turn that quickly and get to us. 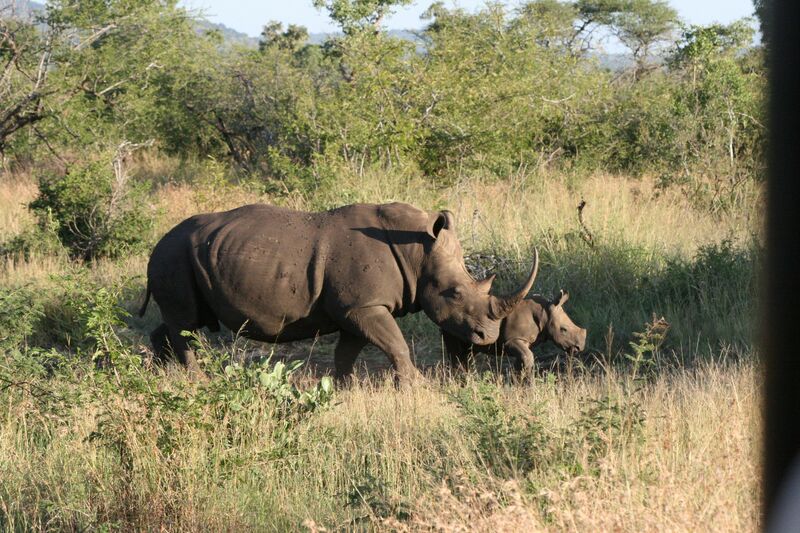 During an afternoon game drive, we happened upon this momma rhinoceros and her baby. While they didn’t seem to notice us, or at least care much that we were snapping lots of pictures of them, it was still a rush to see them up close. I thought of other times I’ve had adrenaline rushes, and one of them was of a very different sort. 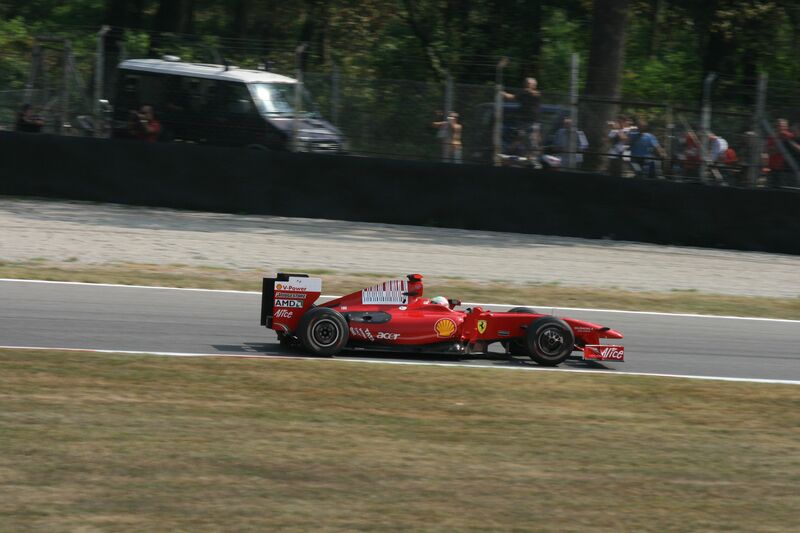 Dave and I have been to the Italian Formula 1 Grand Prix in Monza, Italy, twice. Both were very memorable and exciting – our first trip there in 2007 was the first time I had been to a Formula 1 race, and it was amazing to see how fast the cars zoomed around the track. For our second visit, we went early for a fan day, where holders of three day tickets can visit the track on Thursday for a pit walk. Being a Ferrari fan, I made my way down to the Ferrari pits, and wiggled my way up to the front – and was able to get 2007 F1 World Champion Kimi Raikkonen’s autograph before snapping a few pictures of him. Quite an adrenaline rush to be so close to the Ice Man! 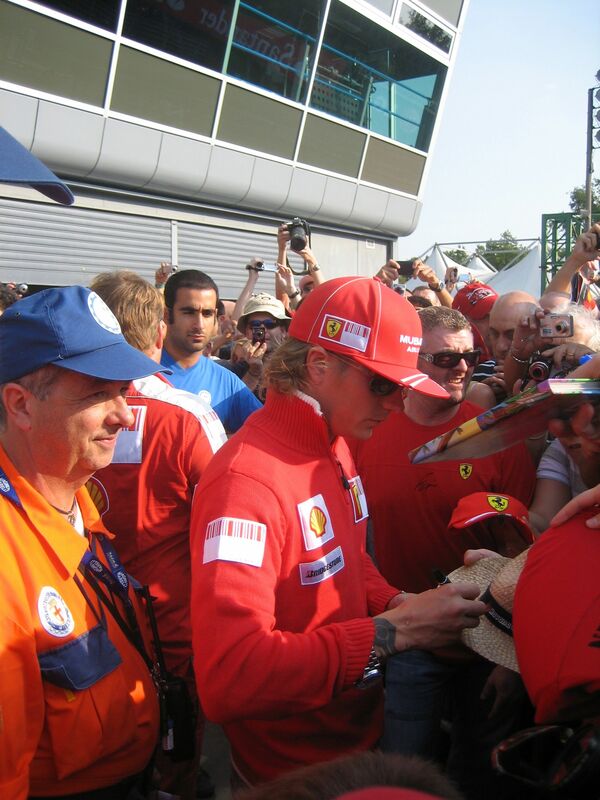 Ferrari driver Kimi Raikkonen signs autographs at Monza, 2009. Ferrari driver Giancarlo Fisichella races around the Monza track. It was fun remembering both my trip to South Africa and to the F1 race in Monza with an “adrenaline” perspective. I’m looking forward to this week’s #FriFotos – the theme is HEAT.